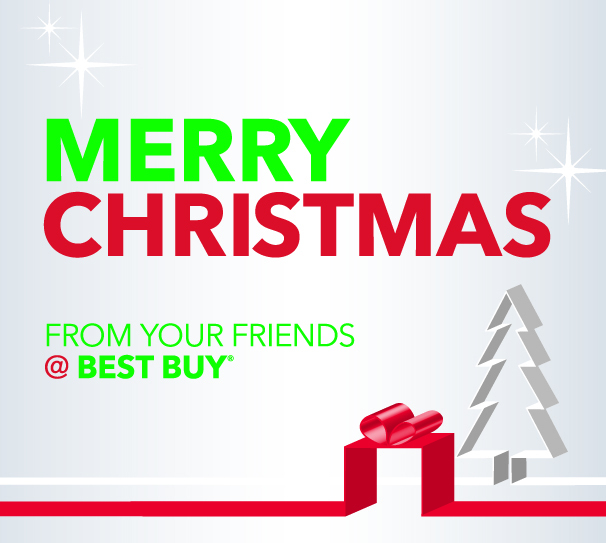 In addition to the wide variety of technology and appliance products, you can find movies, music, games, cameras, cell phones, accessories, fitness products and tech toys for the kids plus over 100 products that are only available at Best Buy this holiday season. My girls would go crazy for this Barbie Digital Makeover Kit and I sure with they had this Fisher Price Little People Apptivity Barnyard when my kids were a little smaller. My mom would love to have a FitBit tracker, I have one that I’ve worn daily for a year and I greatly enjoy being able to track my steps, sleep and other activities. Of course the new Misfit Shine tracks all that stuff too and is beautifully designed. Some other hot gift ideas this year include wireless headphones, the Jawbone Up, and portable speakers. I’m thinking about getting these Logitech speakers for the kids. If you’ve got your eye on any of these things then you’ll want to take advantage of the super promotions going on at Best Buy from December 1st through January 18th like their 15% off health and fitness, Fisher Price and Mattel deal (use promo code bloggers15off at checkout), or take 10% off headphones and portable speakers (use promo code bloggers10off at checkout). There is something for everyone on your gift list!